This article is meant to assist you with the People Tab in a Case Screen. 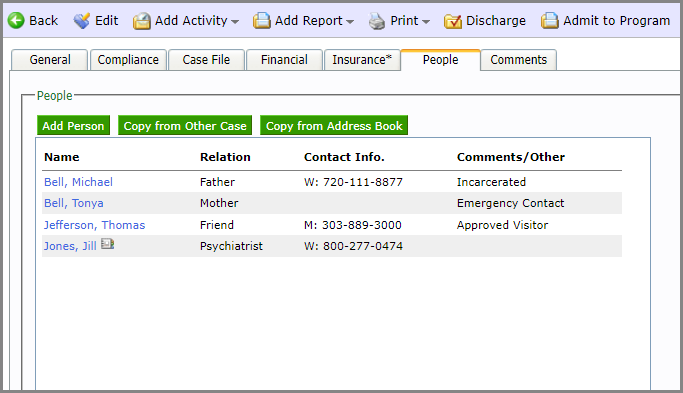 The People Tab is a great place to store information, as this data will be accessible to all users within your agency. Existing relationships will appear. To add a relationship to the extendedReach system, click on “Add Person”. Be sure to “Save” or “Save and Add Another” before closing this screen. 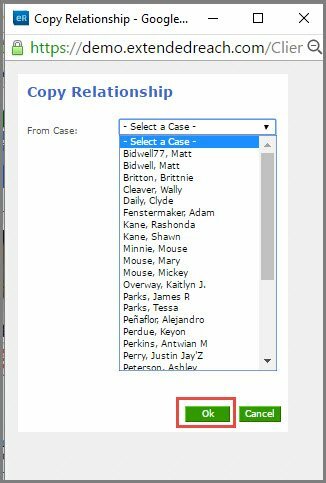 One way to add a relationship to the People Tab, is to click on “Copy from Other Case”. 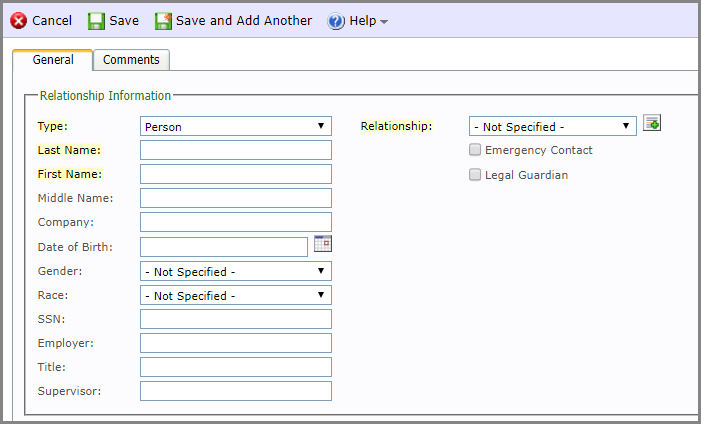 Select a relationship for the list and click on “OK”. Another way to add a relationship to the People Tab, is to click on “Copy from Address Book”. Click here to learn how to add people using the Address Book.